The Targus 90W AC mains notebook power adapter offers a versatile replacement or secondary power supply for your notebook at home or in the office, ensuring you remain switched on and productive. 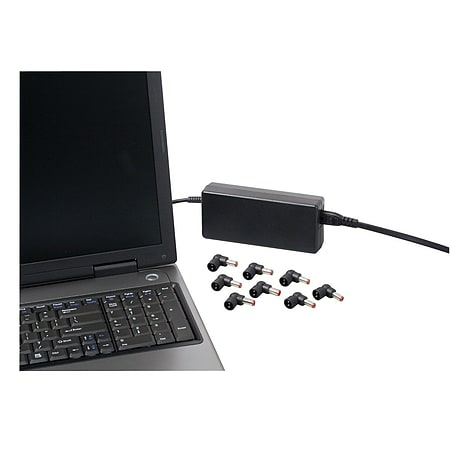 The inclusion of a number of power tips provides compatibility with many of today's major 19 Volt notebook brands requiring up to 90 W of continuous power. Reliable, safe and easy to use the, this unit will not let you down. Whether it’s a replacement or additional power supply you require, let Targus make your mobile life easier.